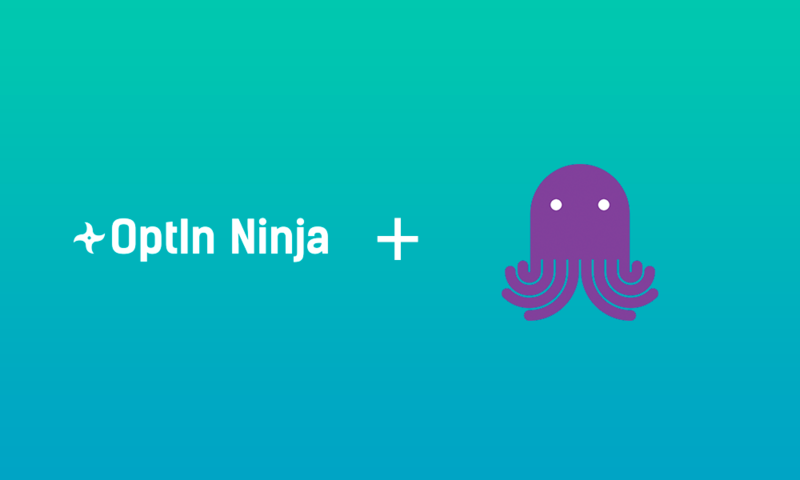 OptIn Ninja is a great option for generating landing pages designed to capture opt-in email addresses on your WordPress site. From attracting visitors, to converting them, to tracking your growth, their platform can handle it all. They come fully equipped with a bundle that provides you with a WordPress plugin, an add-on for pop-ups, an add-on for custom form fields and a bunch of templates to choose from. 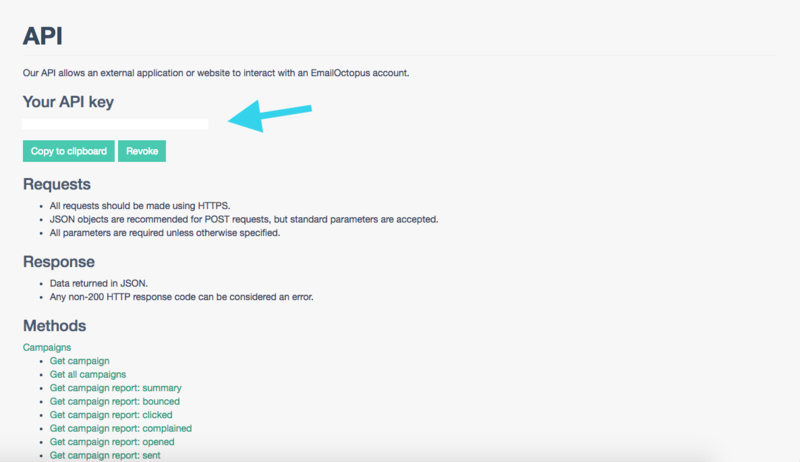 Log-in to your EmailOctopus account and find the API section on your dashboard. Then copy the API key revealed. 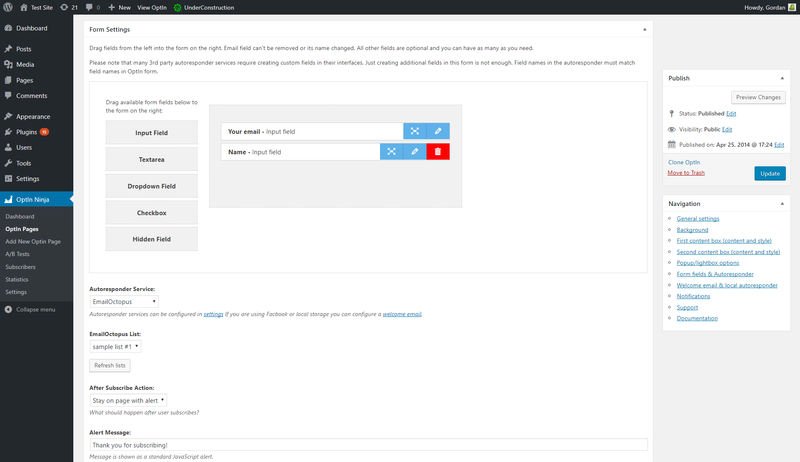 Access your WordPress site, and from the OptIn Ninja plugin, select settings. Choose EmailOctopus from the selection of email service providers and insert your EmailOctopus API key, as instructed. 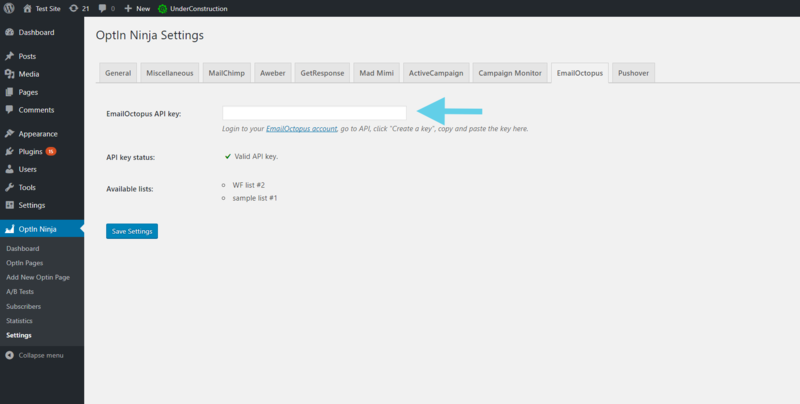 Under the ‘OptIn Pages’ section of the plugin, you can customise the fields of the forms and the EmailOctopus list to which it is designated to. 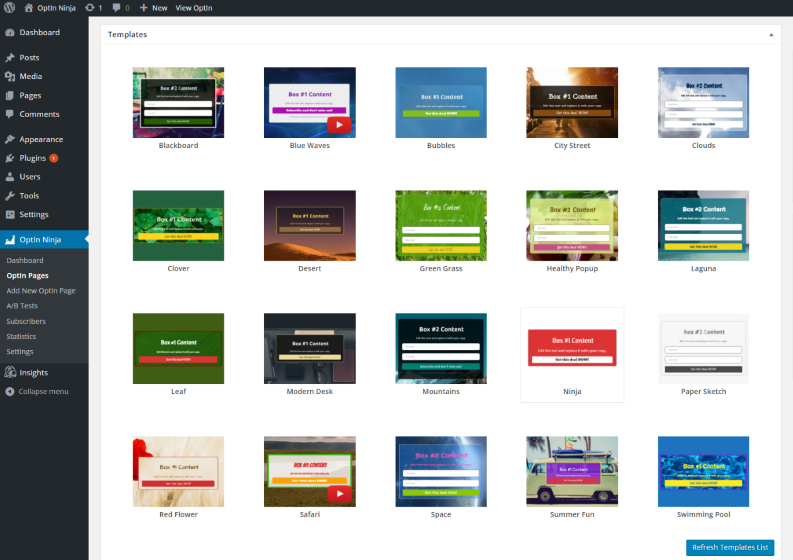 Enjoy using OptIn Ninja and it’s wide selection of form templates.